Signature : Ecchu Yao Ju Oonishi Sadanari Saku kore. Blade length : 70.2 cm or 27.64 inches. Sori : 2.1 cm or 0.83 inches. Width at the Kissaki : 2.44 cm or 0.96 inches. Kasane : 0.7 cm or 0.27 inches. 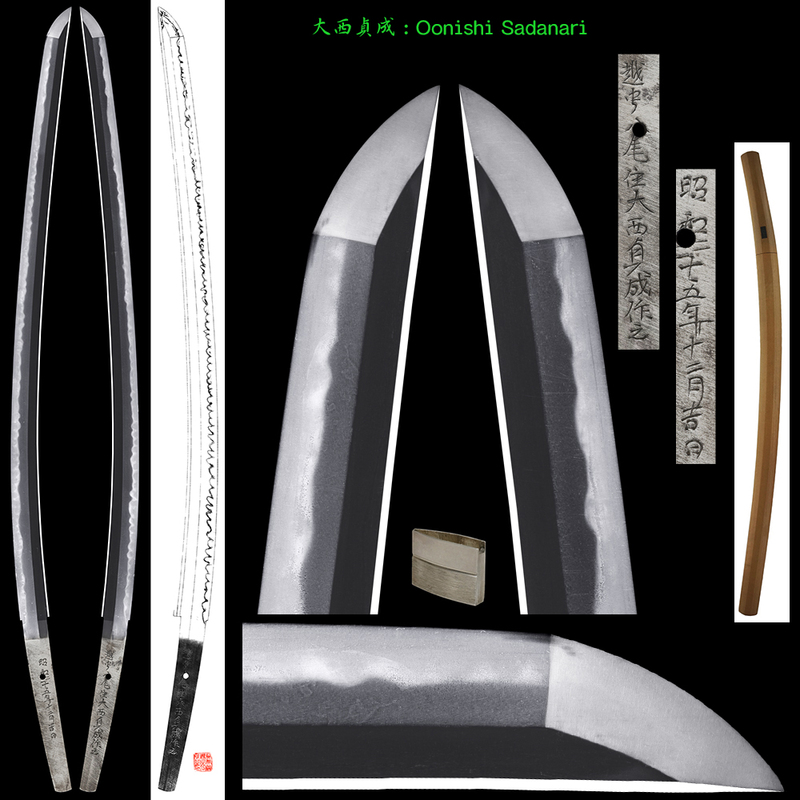 Shape : The blade is very wide(3m4cm) and thick with deep sori nice looking sword which looks like Kamakura period. Jitetsu :Koitame had well grained with jinie attach. Hamon : Koniedeki Cyoji midair with soft feeling nioikuchi. He was born Meiji 40th and passed away Syowa 58. 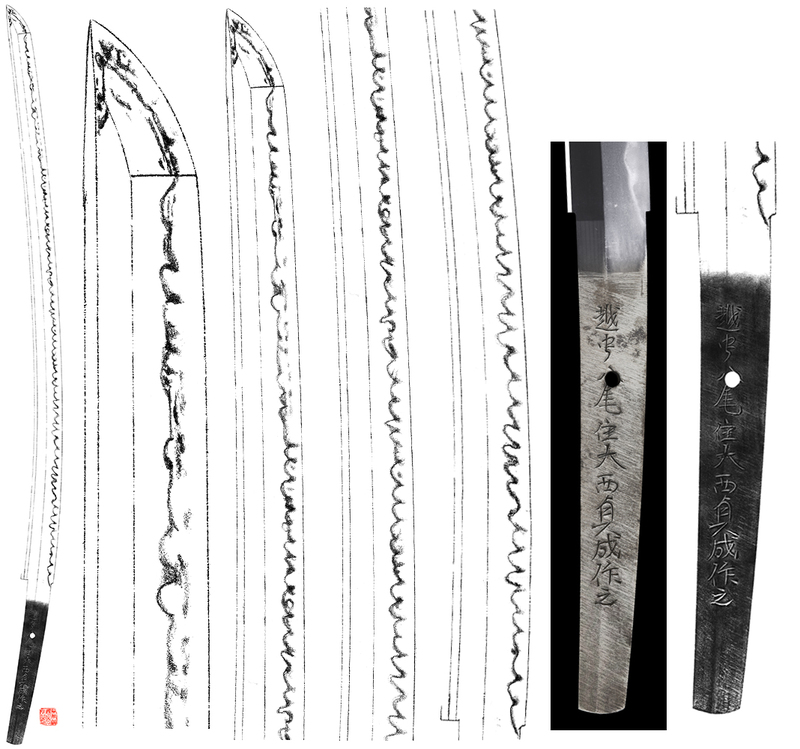 The blade is bright and nice hamon which remind us Shinshinto Naotane.